Jonas & The Massive Attraction guitarist, Corey Diabo, had the thrill of a lifetime when he was asked by DEEP PURPLE to jam with them on their classic song “Smoke On The Water” in Edmonton last week at Rexall Place, as part of the band’s Western Canadian tour with the legendary rockers. Corey did his bandmates proud as he traded licks with Deep Purple guitarist, Steve Morse and you can check it out at Corey Jams With Deep Purple. 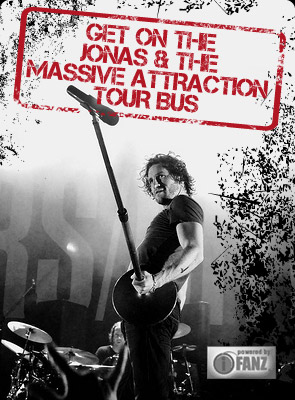 The band returns to Canada in April for an acoustic tour April 4 – 25, 2012, to promote their NEW release, Jonas & The Massive Attraction “Unplugged”, that’s in stores and on-line in Canada at BUY NOW On iTunes!